From a cramped and out-dated kitchen to a spacious family room big enough to accommodate a passion for cooking – and two young children! 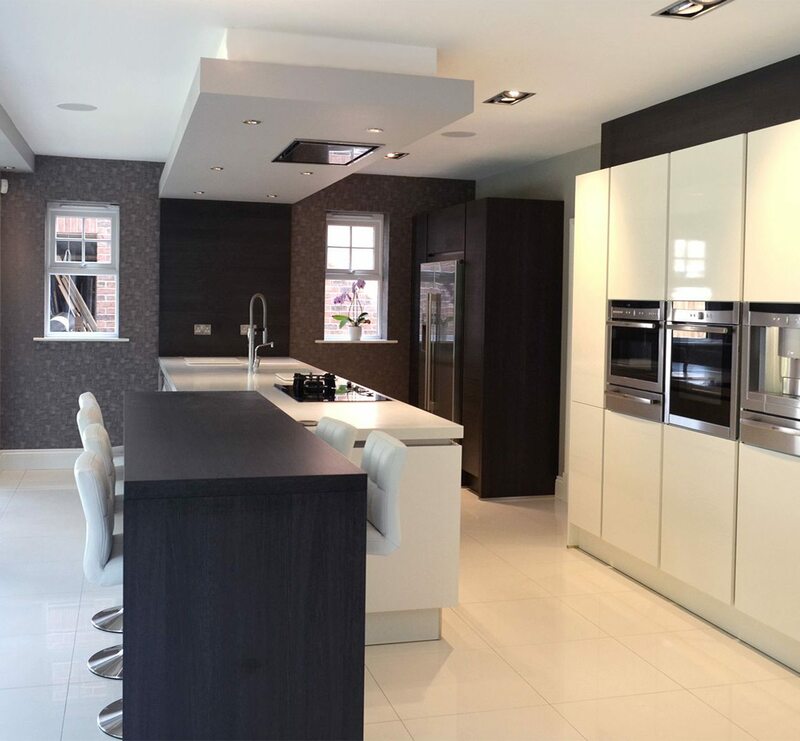 – Mr and Mrs Hall got everything they were hoping for and more when they chose to transform their kitchen with Kitchen Design Centre. 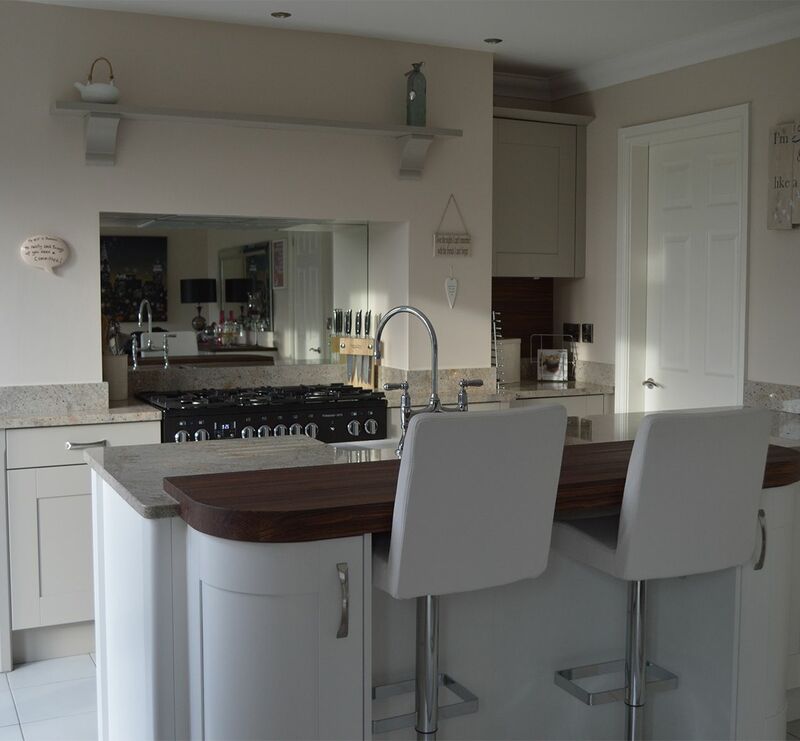 They say it’s easy to choose style over substance, but when Mr and Mrs Hall decided to extend their kitchen, they wanted to create a beautiful family space that would accommodate a passion for cooking. In the five years since they’d bought their home in Urmston, Mr and Mrs Hall had outgrown their kitchen in a big way. With two young children to consider, it was time for a change. Mr Hall explains: “The kitchen we had before was OK, but OK just wasn’t enough anymore – we’ve got two young kids, and my wife’s a really keen cook. 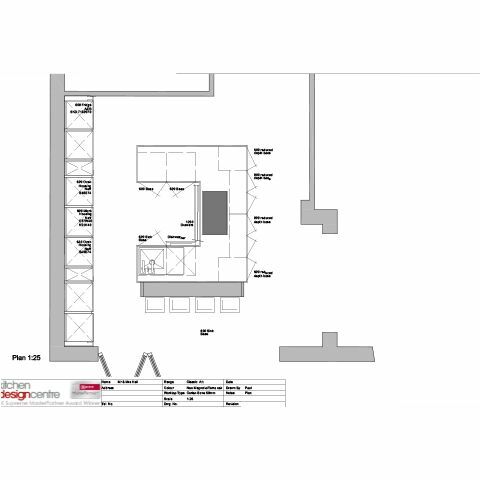 We decided that, if we were having the kitchen extended, it made sense to get it designed properly as well. With that in mind, the Halls began looking around for a kitchen company that could help bring their dreams to life. Sadly, the experience wasn’t without its complications – the couple visited a number of companies and describe the process as “a learning experience”. 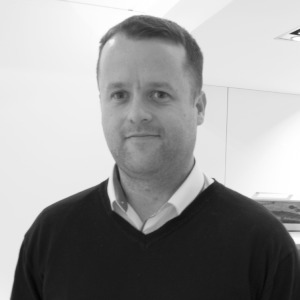 Disappointed with the service they’d received elsewhere, the Halls decided to try Manchester’s Kitchen Design Centre, where they spoke to designer Paul Harrington. With Mrs Hall being such a keen cook, the couple had a very clear idea of what they wanted from their kitchen: a sleek, modern design that would be practical without being boring. 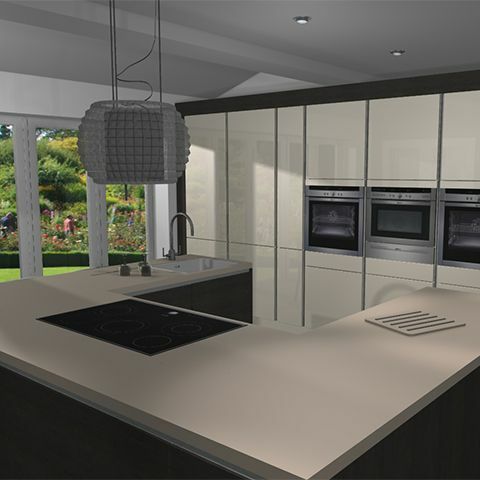 Paul said: “We were given the challenge of creating a real family kitchen in an extended space. Mrs Hall really loves to cook, so we wanted to make the kitchen somewhere she and the rest of the family would be able to enjoy spending time – they wanted a really stylish, timeless design. The final design encompasses a sleek wall of Terra Oak units with a gloss neo-antique white finish, which reflects the light from the windows and adds even more space to the room. 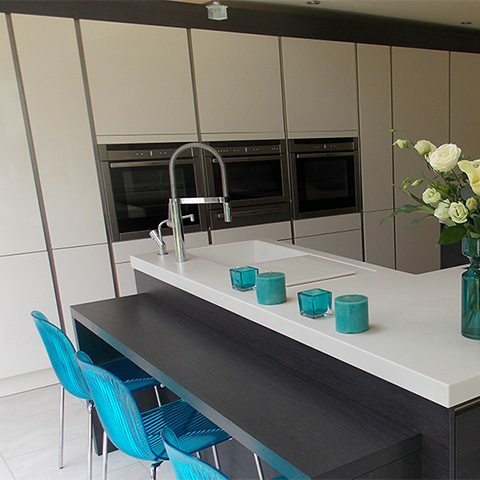 A large central island comprising Atlanta Terra Oak base units and slim white Corian work surfaces, makes up the counter space, combining elegance and functionality with a chic satin finish. Paul commented: “Making such a large island work in the space was a bit of a challenge for us, particularly as we had to combine this with a suitable seating area for the children – one that wouldn’t be cramped, in the way, or short on natural light. In the end, Mr and Mrs Hall decided on a large u-shaped island in the middle of the room, with a breakfast bar abutting one of the long sides. The couple also decided to invest in top quality appliances to finish off their new kitchen – they opted for two Neff ovens with a warming drawer beneath, along with a Neff microwave, induction hob and a Quooker boiling-water tap. "We chose to make our kitchen an investment, and it was well worth it. We’ve got great results that will last for years – it’s a lovely feeling." 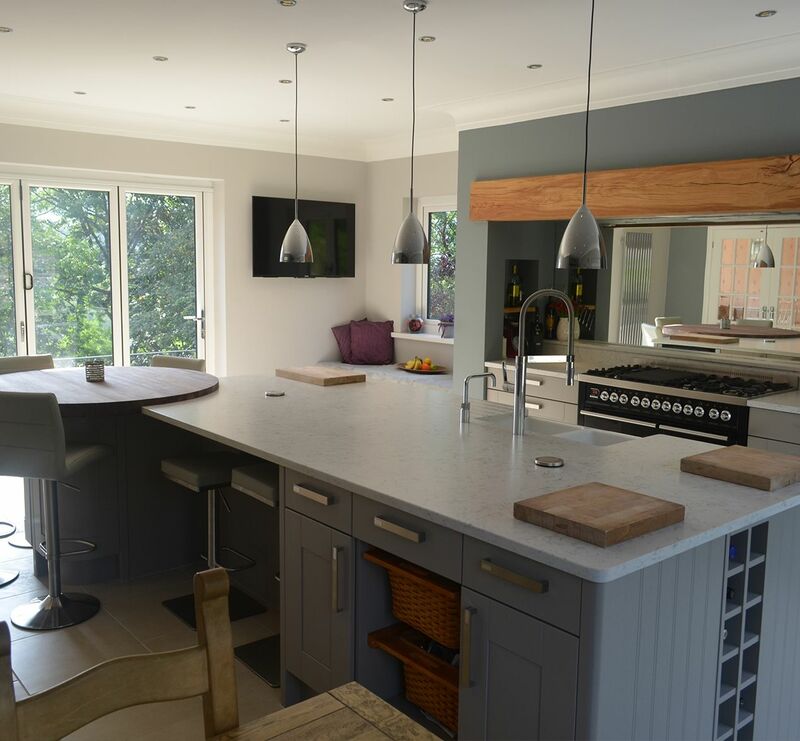 With their help, we managed to come up with a stylish, practical kitchen and a welcoming family space that exceeded all of their expectations."